It is important in our fast-paced world to be able to prototype quickly, but also to ensure that you are not doing any wasted work. This is one of the major strengths of Spring Boot. The smallest application can fit in a tweet, yet your application will scale to Internet scale with the greatest of ease. Starting your first project with Spring Boot can be a bit daunting given the vast options that it provides. 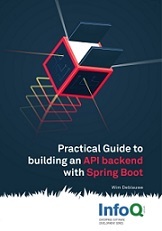 This book will guide you step by step along the way to be a Spring Boot hero in no time. It is your authoritative hands-on practical guide for increasing your Spring Framework-based enterprise Java and cloud application productivity while decreasing development time using the Spring Boot productivity suite of tools.